Holistic medicine is at it’s core minimally stressful, and non invasive. Veterinarians trained in holistic medicine work with you and your pet to find a treatment path that incorporates western and alternative or complementary medicine. 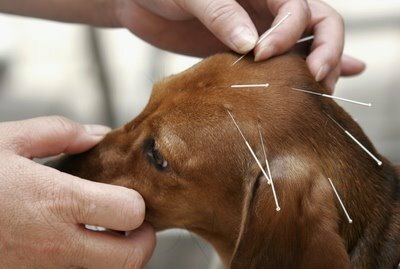 At Village Veterinary we offer acupuncture, supplements , herbs and red light therapy to help support your pet’s body systems. Dr. Novak is happy to work with you and your pet to bring together the best treatment plan drawing from holistic and western medicine. She is trained in acupuncture and regularly attends the American Holistic Veterinary conference to stay current with new alternatives to conventional medicine. Dr. Novak is also happy to discuss your pets dietary program as a good diet is essential to good health.